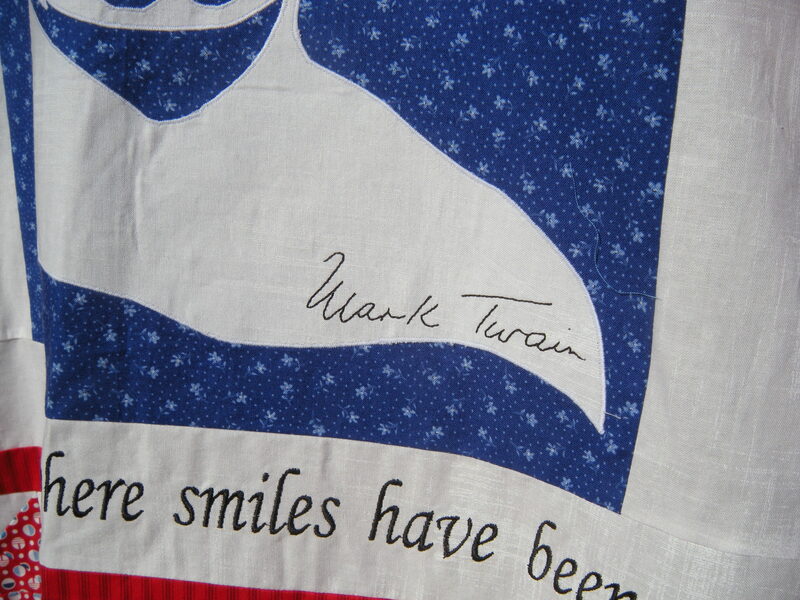 Mark Twain is in the house! Holla! I’m from the state of Missouri. The one pronounced Mi-zor-uh. And there’s a famous dude that came from the same town in which I was born. So today I’m sending some love to Hannibal! There is an adorable quilt shop there called the Hickory Stick. I spend hours there every time I visit my mom. I blame that shop (and my mom) for my newish obsession with quilting. 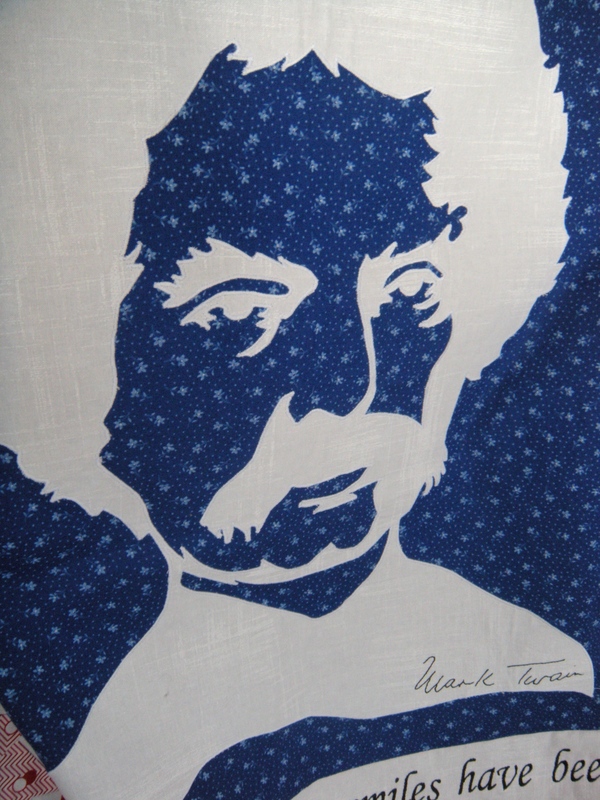 On my last trip I saw the most amazing quilt with Mark Twain’s head on it. And I knew it must be mine. 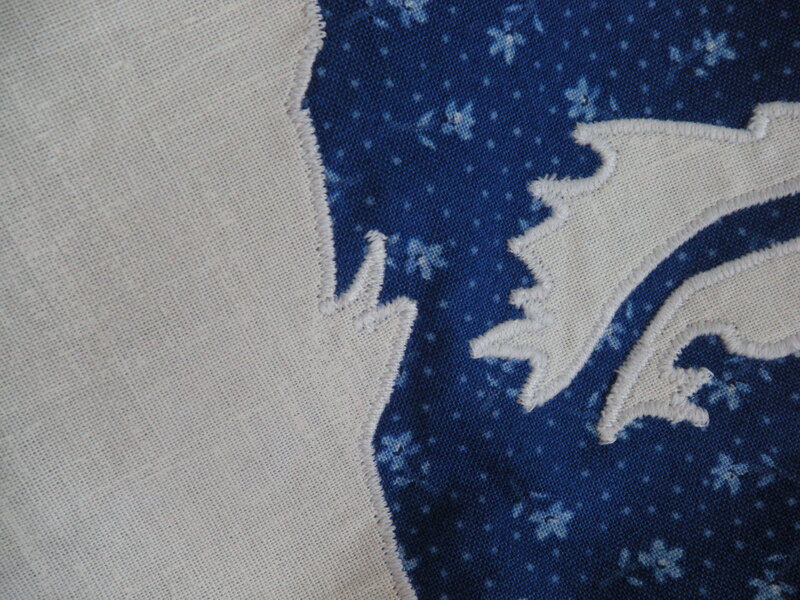 They used the Mark Twain/Hannibal fabrics, which are way too muted for my loud tastes. 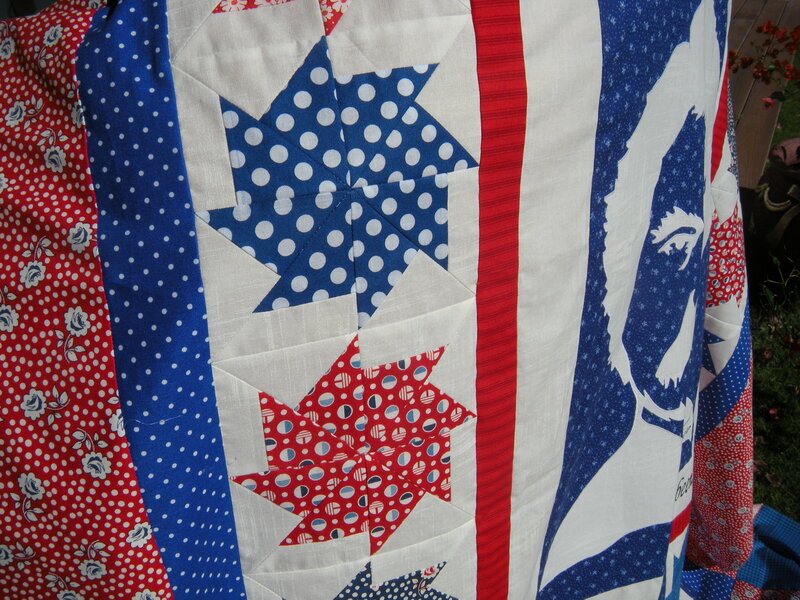 And I’ve been longing for a red, white and blue quilt. So tuh-duh! Meet my patriotic friend Mark! When you go to Hannibal, give a shout out to Pat and the wonderful folks at the Hickory Stick Quilt Shop. And check them out on Facebook. 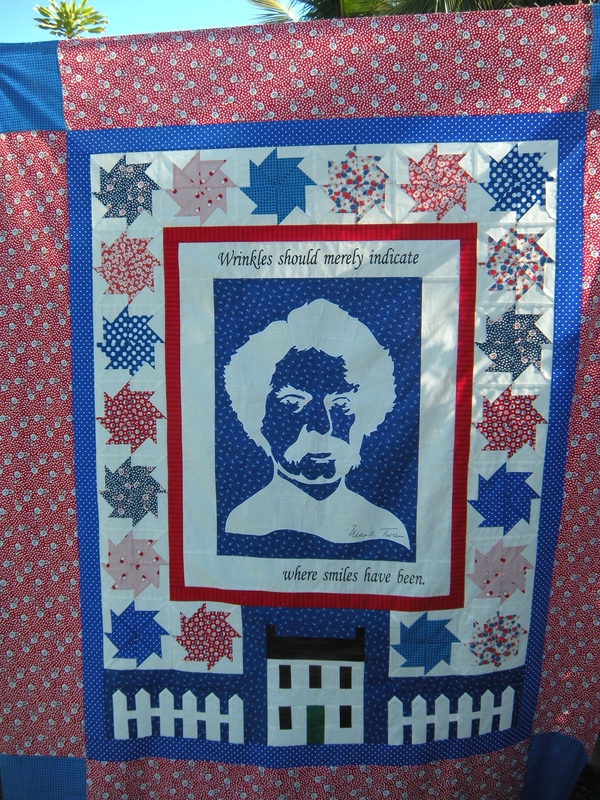 https://www.facebook.com/pages/Hickory-Stick-Quilt-Shop/283780778455063 They have this cool pattern by Susan Marth, it’s called A Tribute to Mark Twain. And say hi to my mom on the hill. Previous New and Improved! With cheesecake! Great job Carole — he is sweet. 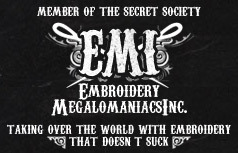 And that embroidery machine of yours is a cherry on top!